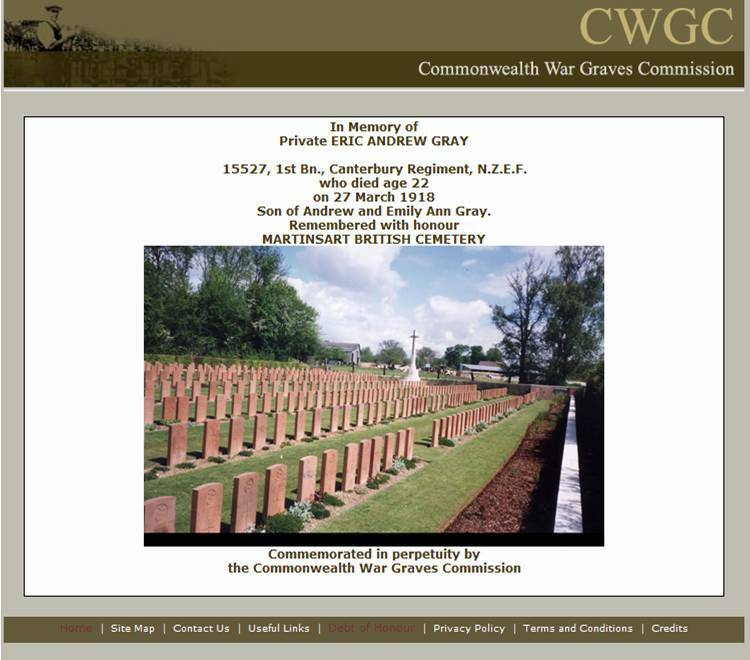 It’s perhaps fitting for this blog challenge that my earliest attempt at family history research was in discovering, and putting flesh on, the stories of two family ANZACs; Wallace Oliver Gray and his brother Eric Andrew Gray – my son’s paternal great grandfather and (great great?) uncle. We knew from my father in law that his dad and uncle had served in WWI, and that his uncle had died, but in the beginning we didn’t even know their names, let alone where or when they had served. So here is what we can now tell of their stories. Wallace and Eric were the only sons of a widowed mother who also had four daughters. Eric, the younger of the two was a farm labourer who enlisted in June 1916, aged 20. Five months later, their mother Emily waved off her second son, then aged 22. 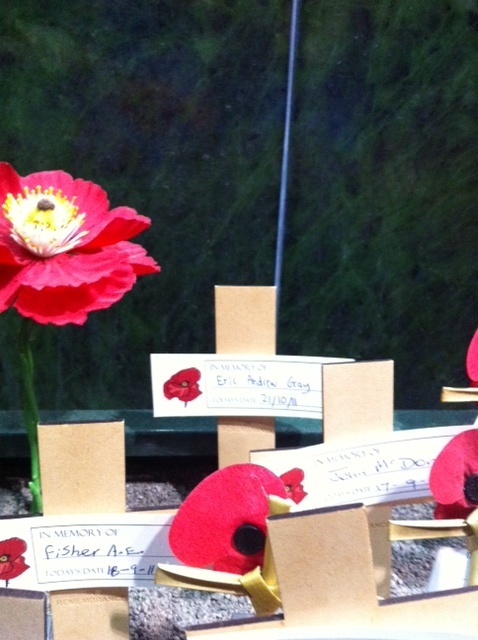 Both brothers joined the 1st Battalion Canterbury Regiment and were posted to France. Eric’s service record shows he was wounded in June 1917, and spent some time convalescing in England before returning to France in December of that year. Ironically, less than three weeks after Eric’s return to the front, Wallace was injured – on Christmas Day 1917. This injury, and the bronchial illness that followed it prevented Wallace from ever returning to active military service. He was declared unfit for duty in May 1918, and finally discharged from the army in May 1919. The family story is that Wallace married one of the nurses who cared for him back in New Zealand. They raised three children and lived to see them marry and have kids of their own, including my partner, who remembers his grandfather with great fondness. Wallace died in 1981, aged 89. Eric’s records show that he was killed in action on March 27th 1918, during the Third Battle of the Somme and was buried in the British War Cemetary at Martinsart. From the service records – and David Ferguson’s The History of the Canterbury Regiment NZEF 1914-19, (http://www.nzetc.org/tm/scholarly/tei-WH1-Cant-t1-body-d13.htmlwe) – we have managed to piece together troop movements around the time of Eric’s death, and while we will probably never know exactly how and where he died, we do have a sense of the environment he was likely to have been in at the time. Ironically, in 1999, we drove through the Somme Valley on a beautiful, clear March day, subdued by the seemingly endless war cemetaries, and totally unaware that a part of our family – our history – lay probably within a few hundred metres of where we passed.